Italian Walter Treccarichi took down the 2016 Aussie Millions Event #19: $2,500 Shot Clock Six-Max No-Limit Hold'em crown inside the Crown Poker Room Saturday night. 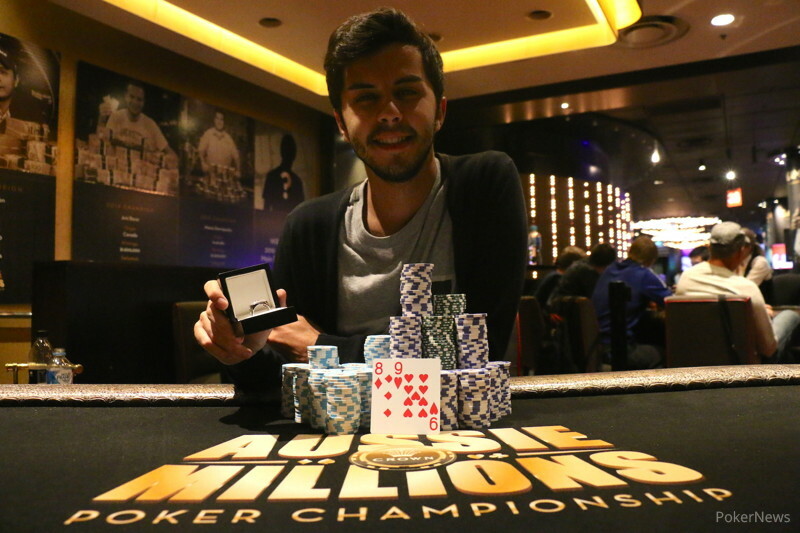 After a heads-up chop that gave Daniel Neilson $119,731.73 and Treccarichi $113,118.27, it was Treccarichi that went on to capture the title and LK Boutique Aussie Millions championship ring that came with it, denying Neilson back-to-back $2,500 Shot Clock titles after he won this event in 2015. A total of 23 players returned Saturday from a field of 246 entries with Christian Nolte in the lead. Neilson snatched the lead as the final table approached, but Nolte wrestled it back heading into the final seven, doubling through Andrew Hinrichsen right before the final table kicked off. His lead would not last, however, as Nolte gave lost a massive flip to Treccarichi right out of the gate, allowing him to take over top spot. That lead got even bigger when Treccarichi eliminated Hinrichsen seventh with big slick over a weak, but suited ace, all in on an ace-high flop. Nolte also fell to Treccarichi sixth, getting his sixes outdrawn. 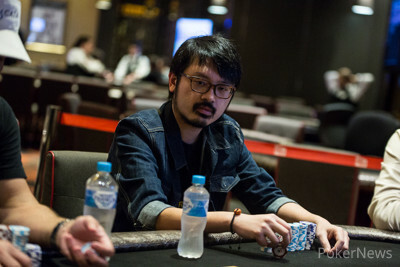 Nielson began to climb at this point, busting Simon Chahine fifth, but Park Yu Cheung actually took the lead, taking a big pot off Treccarichi with trip aces. Cheung could not hold that lead, however, folding under constant pressure from Neilson until it was Neison on top. Cheung soon ran top pair into Treccarichi's two pair to go broke and Treccarichi took the lead three handed. Neison's aggression saw him rise to the top once again and despite the fact Treccarichi busted Roberto Damelian third, Neison took the lead into heads-up play. After they agreed to the chop that made Neilson the cash winner, Treccarichi took control heads up and rolled over Neilson until the title was his. 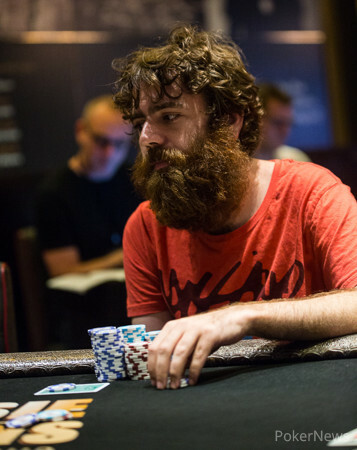 After a tough back-and-forth struggle, Daniel Neilson lost the majority of his chips after he raised it up to 60,000 from the small blind and Walter Treccarichi made it 205,000 from the big blind. He called and saw the flop of . Treccarichi bet out 190,000 and Neilson made the call. The turn was the and Treccarichi led out for a big bet of 500,000. Neilson made the call and saw the on the river. Treccarichi moved all-in, and Neilson tanked for a while before making the call. Treccarichi opened for a set of Tens, and Neilson open folded . Two hands later, Treccarichi moved all-in and Neilson made the call. Treccarichi showed and Neilson opened . The board ran out , giving Treccarichi the pot and busting Neilson in second place. Daniel Neilson raised to 60,000 from the small blind and Walter Treccarichi 3-bet to 180,000 from the big blind. Neilson made the call and the flop came . Both players checked. The turn card was the and Treccarichi led out for 210,000. Neilson made the call and the river came the . Treccarichi announced a bet of 600,000 and pushed out 6 stacks of purple 5,000 chips. Neilson went into the tank, staring Treccarichi down for a read, before folding with 2 seconds remaining on the shot clock. The heads-up combatants have agreed to an ICM deal giving Daniel Nielson $119,731.73 and Walter Treccarichi $113,118.27. They will now play heads-up for the title and LK Boutique Aussie Millions championship ring. On the first hand back from the break, Daniel Neilson folded the button and Walter Treccarichi moved all-in for 1.3mil from the small blind. 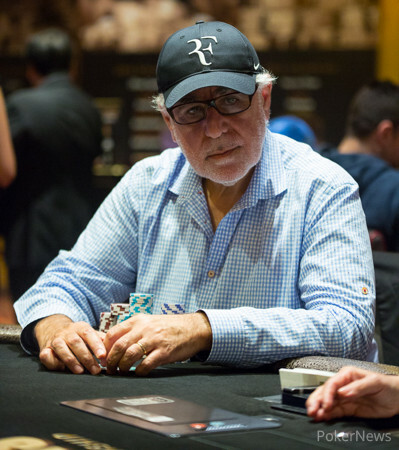 Roberto Damelian made the call from the big blind for his last 300,000 and opened . Treccarichi opened . The flop and turn were safe for Damelian, but the on the river sealed his fate, as he headed for the door. Walter Treccarichi just handed the lead to Daniel Neilson heading into a half hour break. He bet 300,000 into a pot of more than 500,000 on the river of a board reading . Neilsen used the full 30 seconds thinking before making the call with the . Treccarichi had just ace-high with the . SAfter the pot was shipped to Neilson, the players headed off on a 30-minute break. Walter Treccarichi raised to 50,000 from the button, and Park Yu Cheung made the call from the big blind. The flop came and Cheung checked. Treccarichi bet 65,000 and Cheung made the call. The turn card was the and Cheung checked again. Treccarichi bet out 150,000 and Cheung made the call. The river fell and again, Cheung checked. Treccarichi moved all-in and Cheung went into the tank. The Dealer counted down the clock, and with one second remaining on the shot clock Cheung made the call. Treccarichi turned over for top two pair, and Cheung sighed as he turned over for top pair.